When newly elected Pennsylvania State House Member Movita Johnson-Harrell arrived on the floor to be sworn in as the states first Muslim Representative, she had her children by her side and fifty-five family members and guests in the seats to support her confirmation. 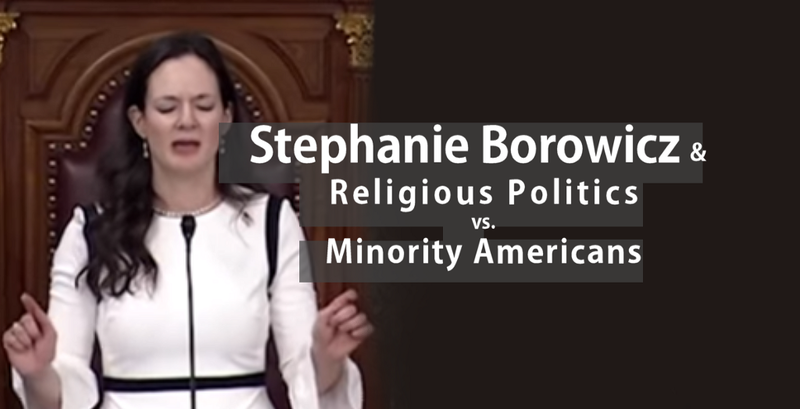 That’s when Rep. Stephanie Borowicz took to the podium, opened her arms and began a jaw-dropping religious rant that she called a “Prayer.” Borowicz prayed for forgiveness for a country that has “Lost it’s way,” cited Biblical scripture that condemned non-believers as “wicked” and demanded they fall on their knees before her Lord. If we had been in Church, such a sermon would be fine… expected even. But not on the floor of the State House, and moreover, completely inappropriate and downright malicious given Movita Johnson-Harrell is the one she is preaching to. Make no mistake, this swearing in ceremony became anything but what it was intended to be. Borowicz distorted the event into a public shaming of a colleague who didn’t share her religious belief. She took it upon herself to weaponize her religion as a protest in her most official capacity and even ask for forgiveness from the Lord, presumably for making way for a Muslim person. It got awkward, painfully. You could see the discomfort that manifested on the faces of onlookers as Borowicz hammered on the Name of God over 20 times in under 2 minutes. Now put yourself in the shoes of Movita Harrell-Johnson as this heavily conservative religious zealot is shouting the name “Jesus” and “God” in your face, in front of your family, friends and constituents who elected you. Now, for a moment imagine if Borowicz were not merely a member of the State House, but instead, a Judge holding authority over a Muslim woman who is challenging a traffic ticket. One can predict the outcome. There are, in fact, thousands of Officers of the Law and Judges holding authority of every civilian who stands before them who may not break out into radical prayer, but certainly share the same sentiments as Borowicz. It is not what they say, it is the bias and prejudice that makes its presence known in how they rule. 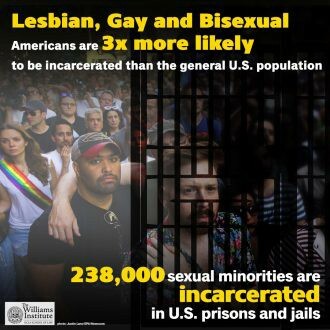 Whether it is racial discrimination- as we know, our prisons and jails are disproportionately populated with black and brown men and women as well a LGBT people- or religious persecution, gender discrimination or old-fashioned bigotry, straight, white, cisgender people are rarely met with the same heavy hand of justice as minorities. This is a fact that has been proven time and time again with absolutely nothing done to counter this gross abuse of power. One can argue that this is the consequence of giving people who are just as prone to conflict and character flaw control without oversight over the masses. Power of that magnitude quickly escalates into ego and devolves into toxic corruption. History has demonstrated this for us, repeatedly, be it the Holocaust, the Apartheid, Native American genocide, African slavery or the Chechnyan purge of LGBT men and women, that humans who aggregate social power always attempt to shape it in their own image. 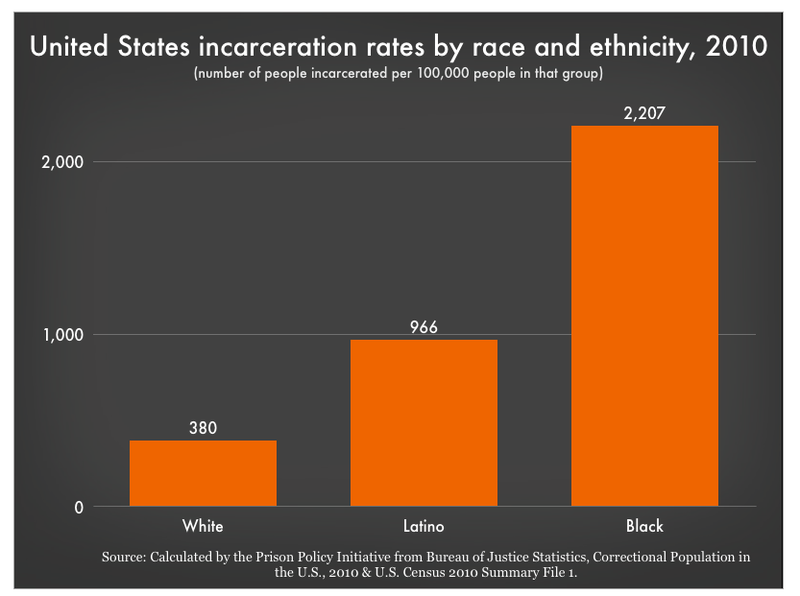 The Williams Institute highlights the prejudices in the legal system. President Trump is doing this now, and although some recoil at comparing him to a modern Nazi, the similarities are undeniable. The cult-like following that lifts him up as a sacred idol, the symbolism of the blood red hat that has come to represent a hive-mind of those united in hatred and strike fear through those communities Trumps orders them to attack. The marriage of politics and religion, in spite of the constitution, as the President appeals to their embedded intolerances and promises to return control of the country to God… the latter at an event where anti-gay propaganda was passed around an adoring audience and President Trump applauded a minister who suggested gay men should be burned to death in hellfire. Trump has leveraged religion like a commodity. He’s walking around signing bibles for his radicalized base that preach love and then throw acidic hate into the faces of minorities at every opportunity. Border walls, transgender bans, travel bans, redacting protective executive orders issued by previous presidents. All this as his entranced audience chants his name and demands the heads of his enemies on a pike. Indeed, it was just earlier this year that many of Trumps political critics were sent bombs by radicalized supporters. His influence is bleeding out of America into other Nations. The shooter in Christchurch, New Zealand who took 55 lives at a Mosque praised Donald Trump in his manifesto. Hate crimes in America have increased 17% in the last year alone. But, facts don’t exist, and lies are the truth. Or, alternative facts. While hatred and bigotry wielded by a powerful elite over society is not new by any means- we can ask any black man who ever stood before a white judge or laid down in the street with arms in the air and still shot by Police officers– it has been revitalized, emboldened and now given the Presidential stamp of approval. Add to this already dangerous equation, the heightened intensity of the political climate with division an everyday nuance as the president peddles outrage toward minorities, women, the disabled, the poor, the mexicans, transgender people, democrats… and his base bites on command. Whatever convinced Rep. Stephanie Borowicz that such a tirade was either acceptable or appropriate is likely the direct result of our septic culture toward those of us who the privileged deem “Othered.” What manifested on that State room floor was a terrifying example of what so many have experienced at much greater cost by someone who presumed a post, an office or a seat of power. It only amplifies why so many Americans have lost their faith in leadership or its ability to protect us as equals to our counterparts who have no visible differentials. What we saw captured in just under two minutes is a clear symptom of our social direction and the alarming momentum it has gained in the last three years.